During the first quarter of 2017 the In IUSTITIA organization was contacted by members of the public to report a total of 22 hate incidents on the territory of the Czech Republic in which people were targeted by various forms of bias violence because of their actual or perceived homelessness, nationality, political convictions, religion or skin color. Muslims and Romani people were among the most-endangered groups. They drive around in caravans, leave rubbish wherever they go, don’t want to integrate and have a criminal record: such is the typical Swiss stereotype of Roma. But the community has lived in Switzerland for centuries, often in hiding for fear of losing jobs or homes. Kemal Sadulov trained as a social worker and is now a radio journalist, translator and cultural mediator. As a Roma, he dedicates his work to recognition for the ethnic minority – not only on April 8, International Roma Day.He shared how Switzerland is struggling to process its less-than-glorious history with this community…. 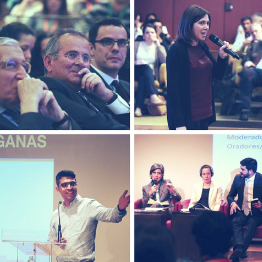 ​The series of encouraging developments began with the ROMED2 National Workshop in Seixal on 5 April, with the participation of municipalities involved in ROMED2 since 2013 but also two new municipalities (Viseu and Agueda) interested in taking on the ROMED2 approach to Roma participation. On the following day, within the International Seminar on Roma Communities organised by the High Commissariat for Migration (ACM), Ms Catarina Marcelino – State Secretary for Citizenship and Equality announced that as of 2018, ROMED2 will become part of the governmental approach to addressing Roma issues. 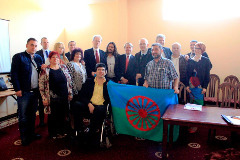 According to a Member of the European Parliament (EP) from the Czech Republic, Tomáš Zdechovský, the commemoration of International Romani Day is very necessary. The MEP made his remarks during a debate about International Romani Day that took place at the EP on Thursday, 6 April 2017. The Ambassadors of France, Switzerland and the Netherlands as well as the Country Manager of the World Bank for Bulgaria visited the town of Sliven on April 11 in order to attend Roma related events organized by Amalipe and to obtain better impression about the projects financed by Swiss Contribution Program in Roma neighborhood Nadezhda. The visit was organized by the Coordination group of Roma Inclusion Ambassadors Group (RIAG) and by Center Amalipe on the occasion of International Roma day Eight of April.